Bridge cutting is tricky business. It involves cutting bridges and under-bridges for upgrades or new construction. With decades of experience and speciality safety tools, Ace can get any bridge cutting task done for municipalities with the safety, speed, and precision. We can cut arched beams, pier caps, and bases – all while making sure traffic runs smoothly and nothing is damaged. 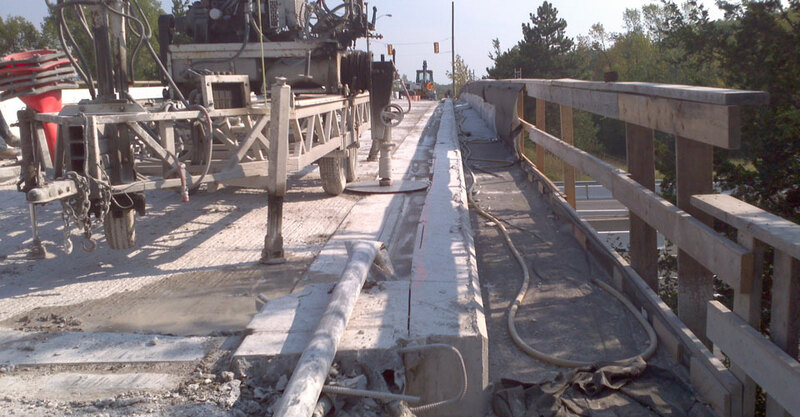 Few contractors wholly trust others to chip away at concrete on a standing bridge, but Ace Cutting and Coring has a sought-after reputation for being safety-forward and reliable. We have over 40 years experience cutting and coring. When it comes to personal safety, it’s no time to cut corners hiring inexperienced staff to work on bridges with heavy machinery. Put your project in good hands when you work with us! Contact us today and you’ll see why our clients always leave us raving reviews. If you’re in need of bridge cutting services or would like more information, contact us today!